Every fishing season brings something a little different. Some years, days on the water are frequent, the fish numerous. Other years, finding time for the river can be challenging, trying to squeeze in sessions after work, in between commitments, relationships and other realities of life. But every year, regardless of schedule, work, or anything else, the itch eventually builds too much. Guilt towards the trout gods starts to weigh your mind. You begin gazing into the future, scanning the calendar, looking for that window for the perfect, multi-day, uninterrupted fishing trip. The trip where the only concern is staying alive, staying fed, and catching fish. The trip where there are no deadlines, no commitments, no phone meetings; no start time, or break time, or daily safety meetings. Only you, your fly rod, and the rugged rocky mountain Wilderness. I call this the Annual Pilgrimage; a yearly journey for one to convene with the Trout gods, absolve their sins, and find the rare gift of purity. This year, it was early September and I was working outside in the cold, repeatedly hammering my shovel into the dirt, as I had done most of the summer. September had brought with it the first blast of icy cool weather, a reminder of the winter upcoming; a reminder that I hadn’t yet made the pilgrimage, hadn’t really made time for fishing. 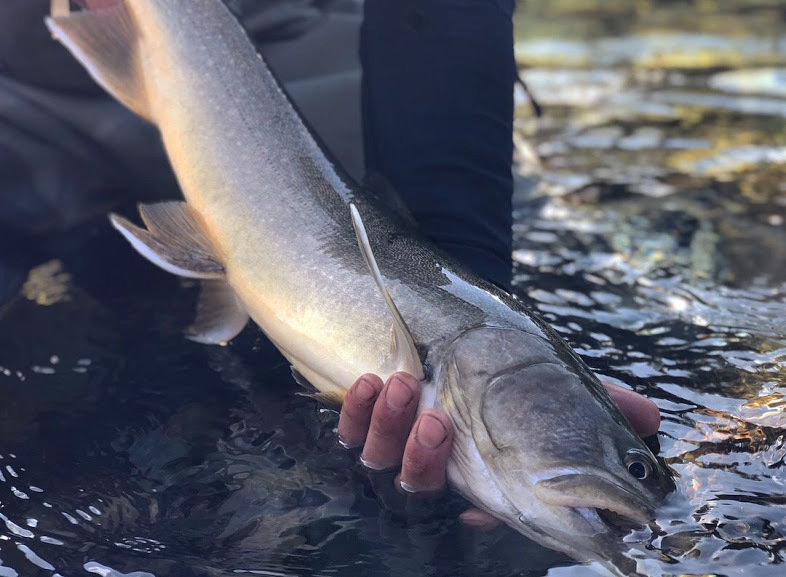 I feel a strange sense of guilt whenever I shun the Trout Gods; as though I feel them watching my life in disdain, resentful of the fact that I seemingly don’t appreciate their gifts, and don’t make time for the river. The River is my sanctuary. And while life sometimes takes over, the river is always where I will feel most like myself. So in this moment of guilty self-reflection, I decided a fishing trip to the holy land was necessary. Hundreds of Kilometres away, in the salty air of Victoria, my brother was obviously in the same boat. I got home that night to a text from him saying he had some free time the next week, and needed some trout therapy. 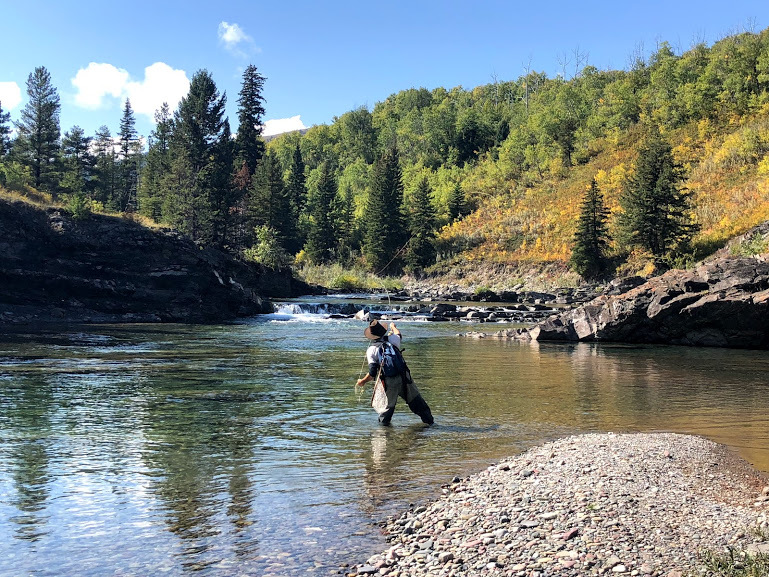 We bounced some ideas off each other, and decided that some early fall fishing for Cutthroats was exactly what we needed. Mark hopped on a plane, I got days off work, and the wheels for the annual pilgrimage were firmly in motion. The requirements for a Trout Pilgrimage are simple. 1) You must be comfortably outside of Cell phone service, in a remote wilderness setting 2) the primary motive from all party members must be to catch fish, and 3) you must remain in this remote wilderness setting for multiple days, bringing all provisions for sustenance with you. Being in this setting allows you to connect; with nature, and the forces bigger than us; with your comrades, and the people who share your passions; and with yourself, by seeing who you really are without society to judge. 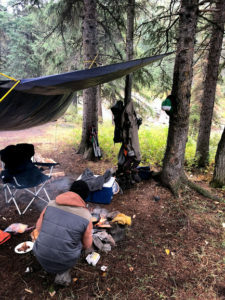 And surviving in the wilderness makes you appreciate the simple things; like warmth from a fire, shelter from a tent, or bliss from a warm cup of coffee. We were especially grateful for all the above during this trip. From the beginning, right up until the morning we left, it was abundantly clear we would be facing less-than-ideal weather conditions. Low temps near zero, snow, rain and wind were all in the forecast. We went anyways. And its amazing how little a terrible forecast can affect you once you lose service and can’t check the weather app anymore. Pessimism gives way to optimism very quickly. Despite the lousy weather, we caught some nice fish in a remote stream on day 1, before hiking back to the car and setting up our campsite that evening. And while most of the world stayed home, we woke up the next morning to 2″ of snow, and our finest day of fishing this entire season. 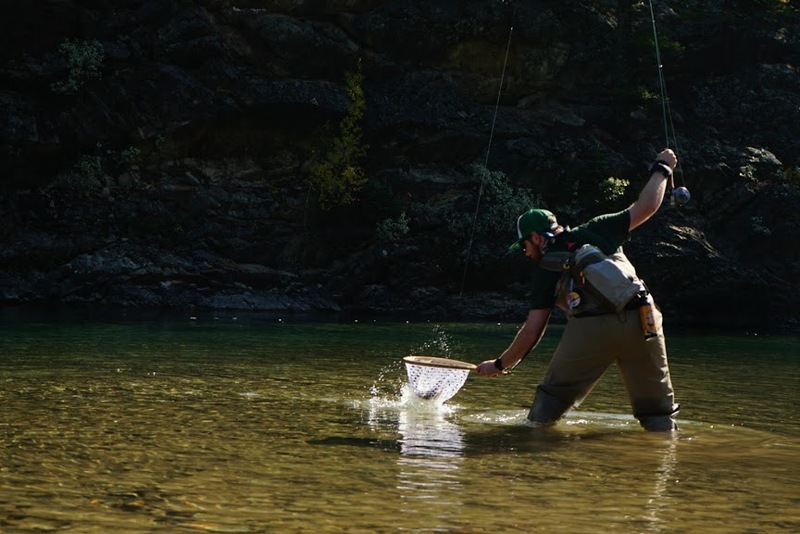 We caught countless Cutties; on nymphs, streamers, and dry flies. The dreary weather gifted us an amazing hatch of Blue-Winged Olives; which had large cutthroat continuously gorging on the surface for hours. We checked out our location for the next day; simply, because we had caught enough fish that we were completely content. The fire that night was warm. The food was good. The sleep miraculous. The next day was absolutely beautiful. We hiked into a section of stream we scoped the day before. 13 degrees felt like 30 after the chill of the past few days. We caught more fish; Cutthroat, Rainbows, and a beautiful Bull for each of us. The section of stream we found was even more beautiful then we had imagined. It felt like the trout gods rewarding us for our sacrifice. Like our 3 days of uninterrupted prayers were being manifested. Like we were finally absolved of our sins. That night, we enjoyed every moment of our last night in the Holy Land. We were back on good terms with the trout gods, and once again felt like ourselves. 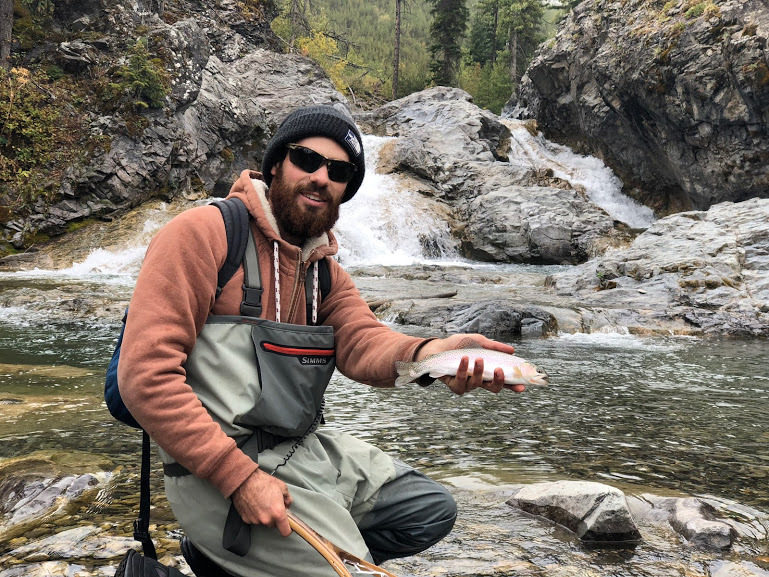 We reminisced on all the gorgeous fish of the trip, while sipping whiskey around a blazing hot fire, and ate up the remainder of our provisions like we were kings. The itch was scratched. The guilt was gone. Regardless of how the season ended, or how much fishing we got done in the fall, we would have the memory of those beautiful fish to carry forward into winter. And the Trout Gods would know that we were their faithful servants. And that we would be back next year, for another Annual Pilgrimage . Love your enthusiasm and enjoyed your blog. You brought a smile to soul with recollections of high country pursuits, many decades ago. If your interested, there is a bull fly with frightful success (must be held private forever, though!). Thanks Robert! Glad you enjoyed and we brought back some good memories; that’s what we are all about! 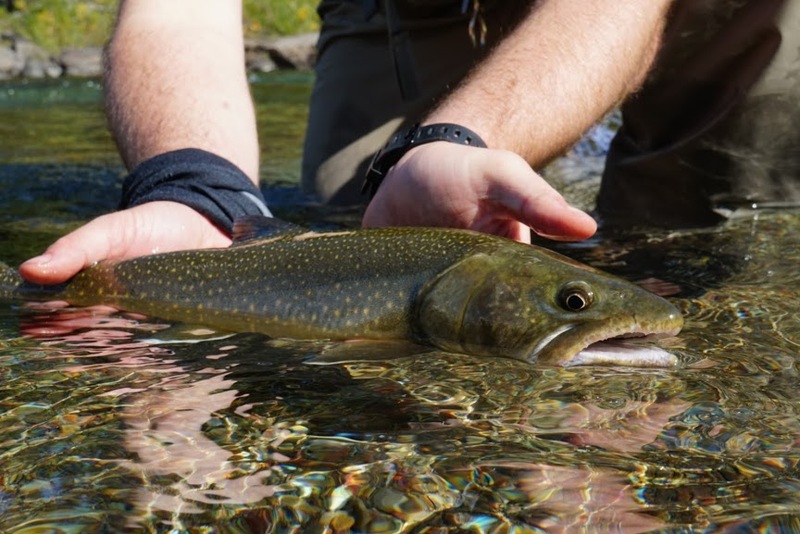 Would love to hear about this Bull Trout fly… I’ll keeps it to myself, for sure! 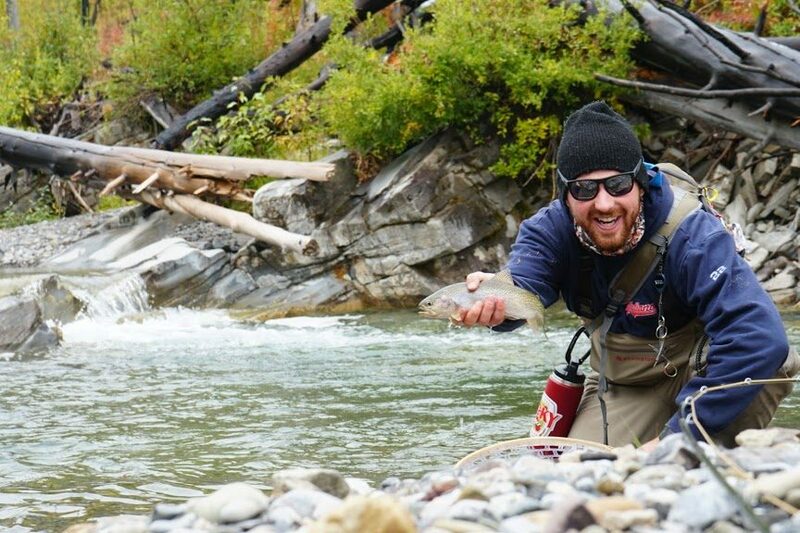 I share your passion for fly fishing. However, I worry for the remaining special places when you provide descriptions and locations and encourage everyone on the Internet to come there. I think you will soon find your places are no longer uncrowded or unspoiled anymore. Best to leave out names or even general locations if you want to fish there in the future. You can write just as good an article by leaving out names or even just use imaginary names. BTW, the Castle does get pounded now almost as badly as the Livingstone and Oldman as people try to get away from the increasing crowds, so enjoy it while you can, but beware of the incredible reach of the Internet. I have seen fishing crowds double each year, to the point of destruction, since the advent of the Internet. Tight lines. I appreciate your comment and concern for the trout Rivers here in our backyard. It is warranted and I try to be cognizant of the info I share. It is my goal to provide general info on watersheds and major river systems, to give people a starting point to explore. Not to give away honey holes, secrets. You may notice that there is no mention of any specific streams in this entire post? More and more people are getting into fishing; clogged rivers are inevitable. I hope to inspire those who use the river to use it respectfully and to respect other anglers! Anyways, thanks again and I’ll keep it in mind.